Starting a business can be confusing and difficult, but very rewarding if done right! If you've thought about opening your own business but don't know where to start, look no further. Simplfi has put together packages suited for all your design and technology needs! Get in touch for an obligation free chat with one of our consultants so we can get you up and running. So what happens next when you've decided on a package? Upon receiving a 50% deposit of the invoice, Simplfi will work with you and your team to understand exactly what you're about, and who your customers are. Once we understand your business and customers, we can start forming hypotheses and asking further questions, all while keeping the customers' perspectives in mind. This is the exploration phase! Based on the findings we've established based on the research we've conducted into your business and customers, we'll form design ideas that best match you. 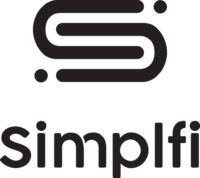 Simplfi will build prototypes or concepts for you to see how your products (e.g., your logo, website, or brochure) might feel out in the wild. Based on the prototypes and concepts we've created for you, we'll sit down and refine them to make sure we get them just right! We'll also test out all the digital stuff to make sure it looks great on all devices. Once you are happy with all the deliverables and the final payment is received, we will provide you with all of the files (including raw files) we've created for you as well as access to all of your online accounts (e.g., your website and web hosting accounts). And of course, you own all of the IP! Just fill out the form below and we’ll get back to you ASAP (usually within one business day).